Prevent drug abuse at home with this effective anti-drug tool. Our laboratory uses the latest technology with state of the art equipment. Gas Chromatography Mass Spectrometry (GC/MS) is conducted on all positive results. Results indicate a positive or negative result for each drug class. In addition, an assessment of the hair dose response is provided to identify whether the user is a low (occasional), medium (weekend/daily), or high (constant) user excluding marijuana (THC). Private & confidential: No personal information is required, instead each test has its own unique Specimen ID number and Passcode to protect your child's privacy. Accurate & reliable: 99.9% accurate. Laboratory is accredited by the Clinical Laboratory Improvement Amendments (CLIA). All tests are supervised, reviews and approved by Ph.D. staff scientists. Laboratory staff has experience with over 1.5 million hair tests. Easy to use & convenient: This test is a simple 4-step process that you can do in the privacy of your own home. Fast results: Overnight shipping included. Results available in approximately 2 business days upon receipt of the sample in the laboratory. 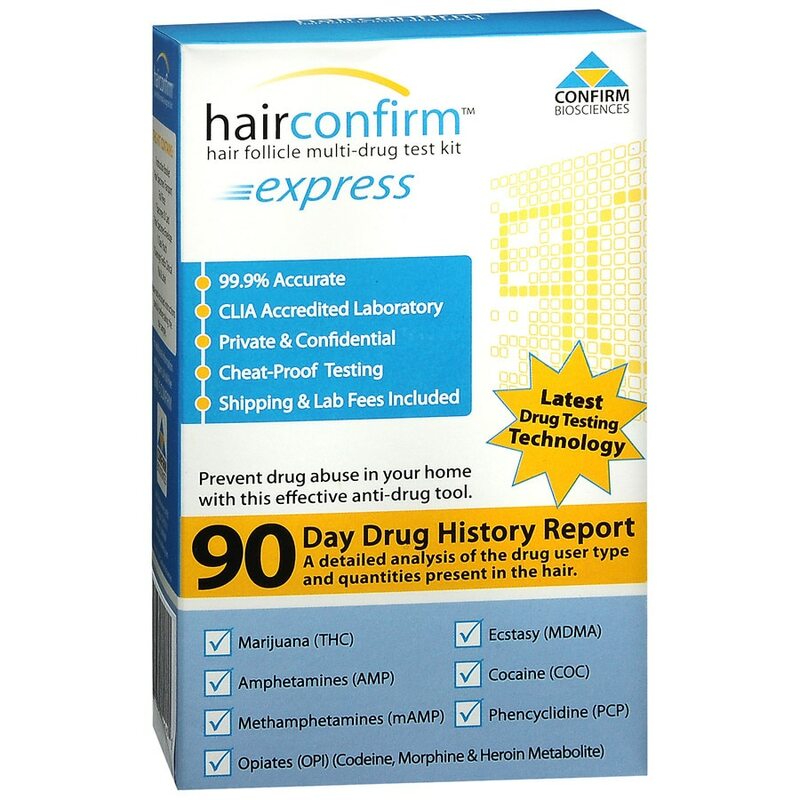 90 day drug history report: A detailed analysis of the drug user type and quantities present in the hair.